I just received this money tree from the sill about a week and a half ago. I re-potted from the plastic pot to this larger planter. I think there was a small amount of damage to the plant during shipment, but it has progressively gotten worse at home. Many of the leaves are starting to thin and turn a yellow/brown color. Most leaves are still soft, but a few have turned almost crunchy, like they are dried out. 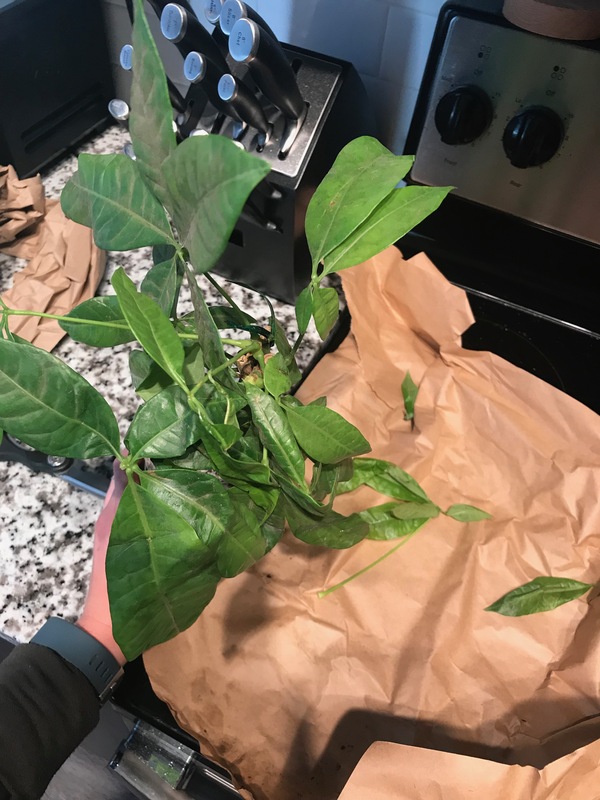 Probably 5-8 leaves have dropped off the plant as well. I was intentionally trying not to over water, so I have only given it a small amount of water once after re-potting (Monday), and once over the weekend. I was concerned it wasn't getting enough direct light, so I have started setting it outside for a few hours a day, and I have moved its home to a window sill for more light (this sill has mostly indirect sunlight). 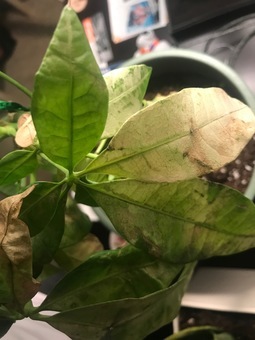 Any thoughts on what could be causing this leaf degeneration? 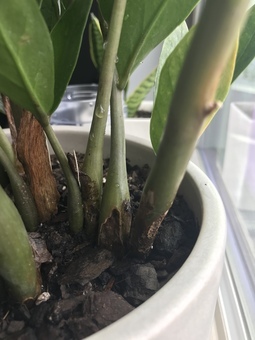 I can see some new buds sprouting from the stem that are still green, and I want them to survive! Pei Hi [294024,Caitlyn Jones] Plants don't like to be move constantly - they will need to reacclimate to a new spot every time and it's stressful to them. 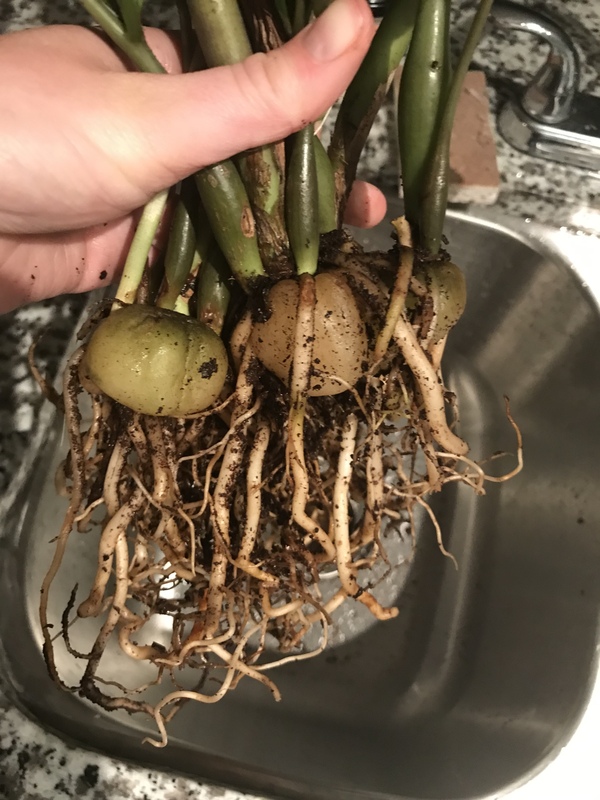 A few feet might not seem much a difference to you, but to plants are huge. Also do you live somewhere that's above 55F? If not, your plant might have cold damaged from when you put it outside. Overall, your plant looks super thirsty and suffer low humidity as well. I will suggest to put it in a bright-lit spot and let it settle in with proper care! Caitlyn Jones Here is how the plant was received. Looks like some physical damage, but still completely green.